No dust, no stains, no mess! 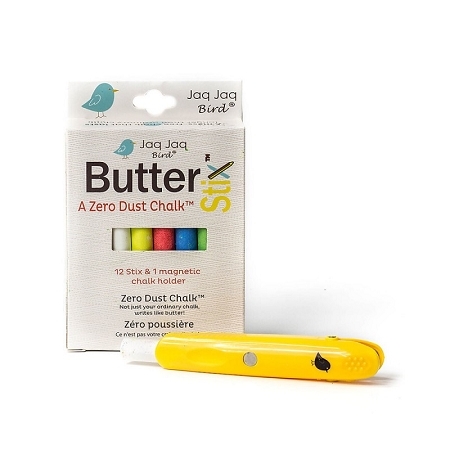 This product includes 12 Butterstix in various colors. Chalk without the dust? Yes please! 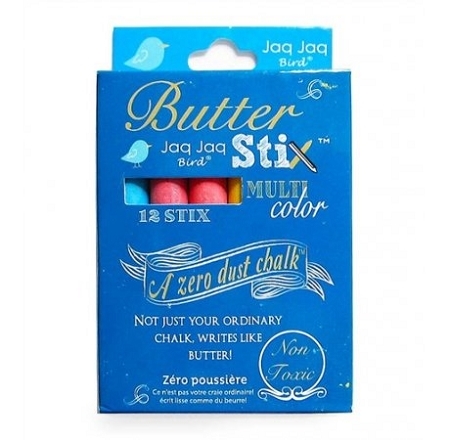 Jaq Jaq Bird bring to you specially formulated zero dust chalk called ButterStix which works and feel a bit like pastels as it glides smoothly on most-non-porous surface. Not limited to chalkboards, can write on most non-porous surfaces: use on walls, plates, counter, etc. 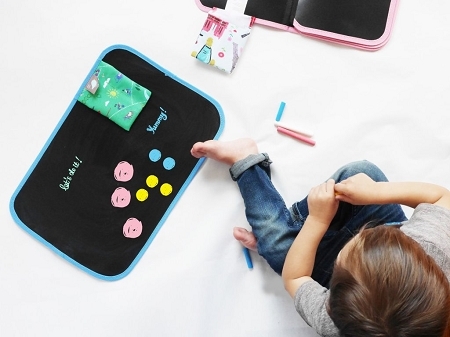 Use on Jaq Jaq Bird's Eat It Mats, Doodle It & Go Chalk Books and Artist Series Color Books. 12 ButterStix™ in a pack, completely safe for kids, comes in a variety of colors. Purchase with or without the holder (see pictures). Regular chalk makes a mess and it's such a pain to clean up. I got these buttersticks to go with my kid's jaq jaq bird books. My 4 year old was home sick yesterday and spent over an hour coloring with these buttersticks and there was no mess. Plus they wipe off the books easily with a damp washcloth. I put off buying these because they are a little pricy, but with MSP rewards points and fast shipping they're well worth the price. Dustless chalk is amazing. It makes me wonder why it took so long to create. I bought this to go along with my daughter's Jaq Jaq Bird doodle book. Very happy with it.